“Last year was another frack free year for Lancashire and for the UK. In June, Lancashire won an amazing victory when elected officials voted to reject Cuadrilla’s application to frack in the county. Now this victory is at risk because fracking company, Cuadrilla, has appealed against the council’s decision. Even worse, the government has revealed that one politician in Westminster will make the final decision, which could lead to fracking being forced on Lancashire. The first day of the public hearing into the Council’s decision will be on Tuesday 9 February – and communities in Lancashire will be outside to make their voices heard. 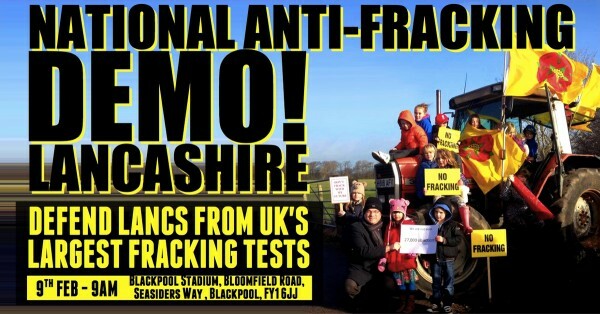 Lancashire will again stand up to say NO to fracking by attending the public inquiry in Blackpool and the rally outside.